When one door closes another opens. The below story you're about to read tells us that no matter how dark it may seem, there's always light at the end of the tunnel. Why many celebrated the Easter holiday with joy in their heart, some went through hell in the hands of some unscrupulous individuals who made away with almost all they had. One Azodo CHUKWUEBUKA Oon on facebook has takingy to his facebook page to recount his ugly experience he had on Wednesday morning when he boarded a Damfo bus heading to Ikeja. According to him, few minutes later, the people he thought were passengers like him turned out to be something else and before he knew what was going on, they seized him and made away with his belongings. unknown to me, I entered "one chance" bus. 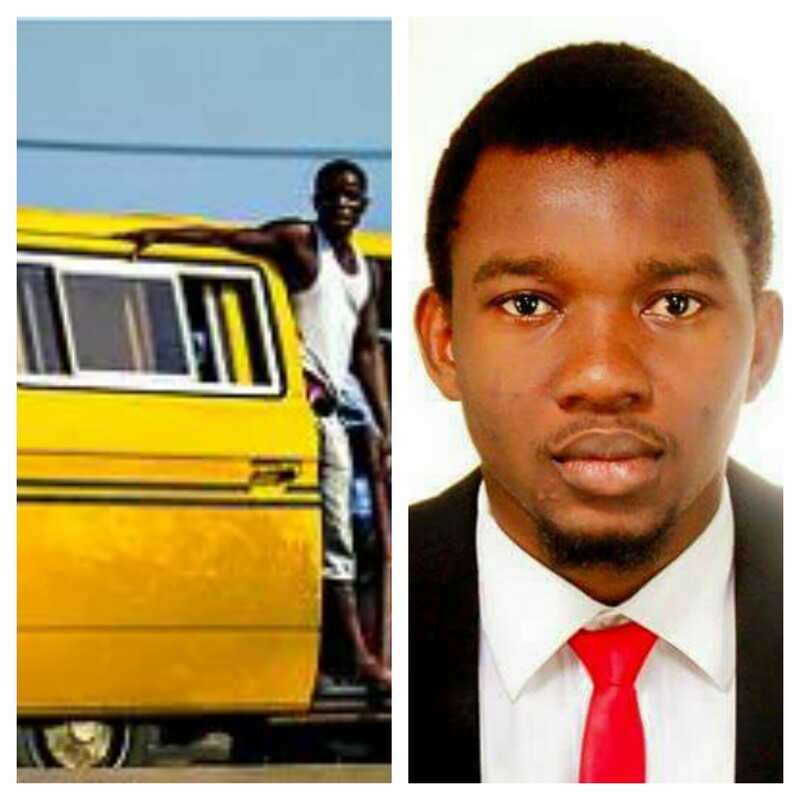 Few seconds after the bus left, the supposed co-passengers turned out to be armed robbers. They brought out gun and silver knife, threatened to stab me if I fail to co-operate. They took my money, my phone and my ATM card. I thought I was dreaming till they started beating me, demanding the pin to my ATM card. I willingly gave them my pin because I know that once there is life, more money will come. At a point in the long marathon journey, one of them stopped and went to a nearby ATM to withdraw. I was receiving alert of my money he was withdrawing till he withdrew the last thousand in my account, after which another round of beating started. 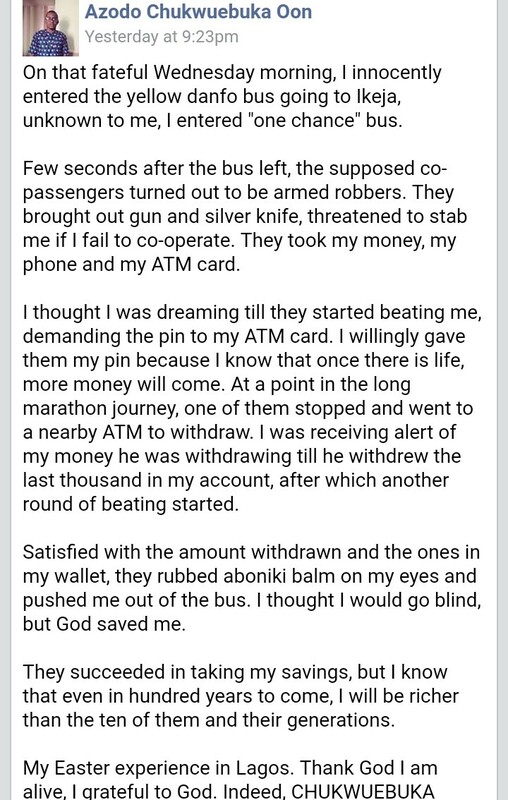 Satisfied with the amount withdrawn and the ones in my wallet, they rubbed aboniki balm on my eyes and pushed me out of the bus. I thought I would go blind, but God saved me. They succeeded in taking my savings, but I know that even in hundred years to come, I will still be richer than the ten of them and their generations.